Someday someone is going to have a stack of résumés on a desk. He or she’ll pick up mine early one morning or late one night when he or she really wants to pick up coffee instead. This person will read the frame of my professional life and try to surmise if I’m worth the interview. Let’s say that I am, for the sake of the argument. When I get called into an interview and maybe my hair’s still a little wet from my morning shower and I’m wearing a suit I only pull out a few times a year, I’ll sit in front of this person with my shoulders pushed back—because I’ll have reminded myself that good posture is supposed to be a good sign. This person will ask me what makes me qualified and prepared for the job. My whole body will want my mouth to say, “Guatemala,” hoping that just that word will transfer all my knowledge and experience into this person’s mind The Giver style. My second urge will be to ask this person to read my personal travel diary even though it’s in Spanish—a next best option for explaining how this summer abroad has changed my life. The truth is, some of the things that give us the best preparation for a path in life, including a career, are often too gigantic to synthesize into a 12-point, Times New Roman, single-spaced blurb. Even if I say this summer has changed my life, I wonder if that’ll mean anything to the person who interviews me. If it didn’t, I wouldn’t blame that person. See, the thing is, when every adult in my life said to me before I left, “You’ll have the time of your life,” it’s not that I didn’t believe them—I just didn’t understand them. How could I? We throw absolutes and hyperboles around so much that we don’t realize how much meaning we strip away every time we use “life-changing” to describe our pizza, a new album, or a newly discovered bookstore. Let me jump off this train back to my point. For half of my life, I’ve wanted to be a teacher and a writer. I’ve made it my ambition in life to work as hard as I can to do both jobs well someday. Three years ago, after tutoring ESL students every day after school for a semester, I knew I wanted to work with English language learners, so I stopped cramming for Spanish vocab quizzes and started asking about the more intricate grammar. 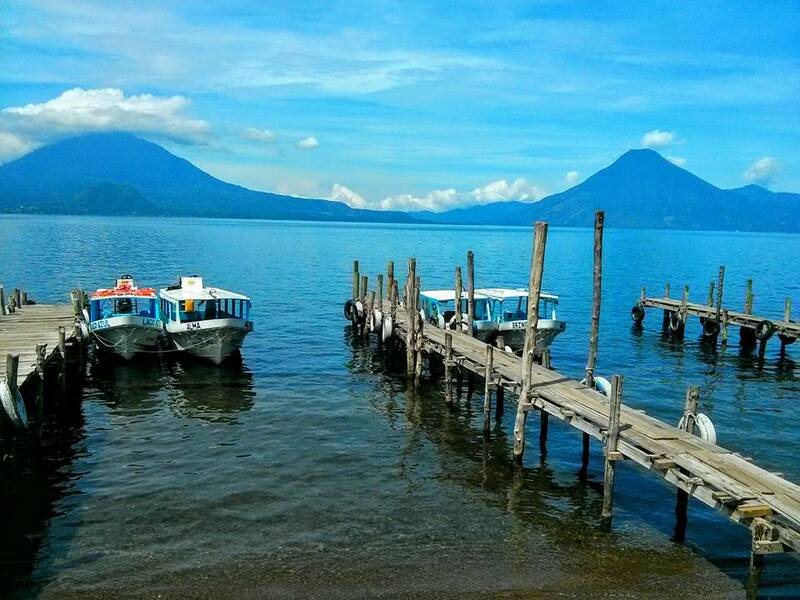 Two years ago when I took my first Latin American History course, I also knew that I wanted to write about Guatemala, a country with a history so painful that it floods the land’s beauty with blood like dye in water. 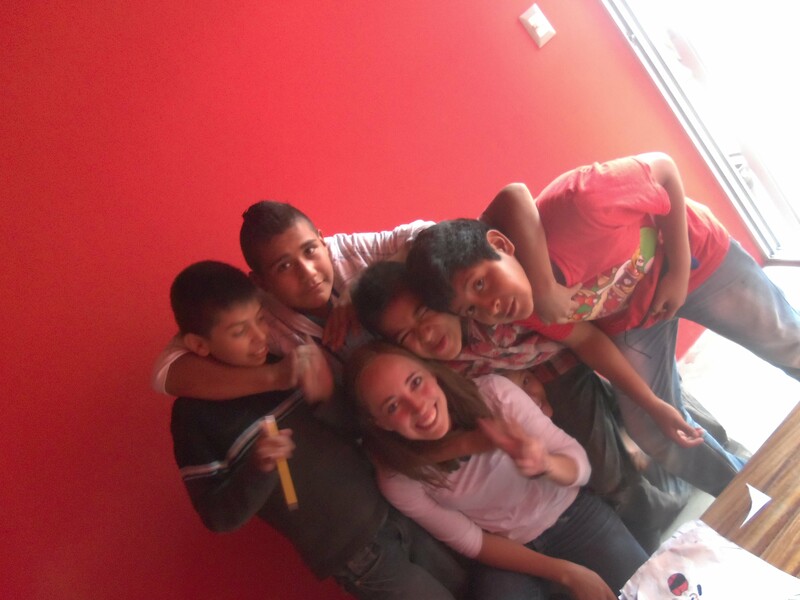 Studying and spending my summer in Guatemala has brought my dreams closer within my reach. 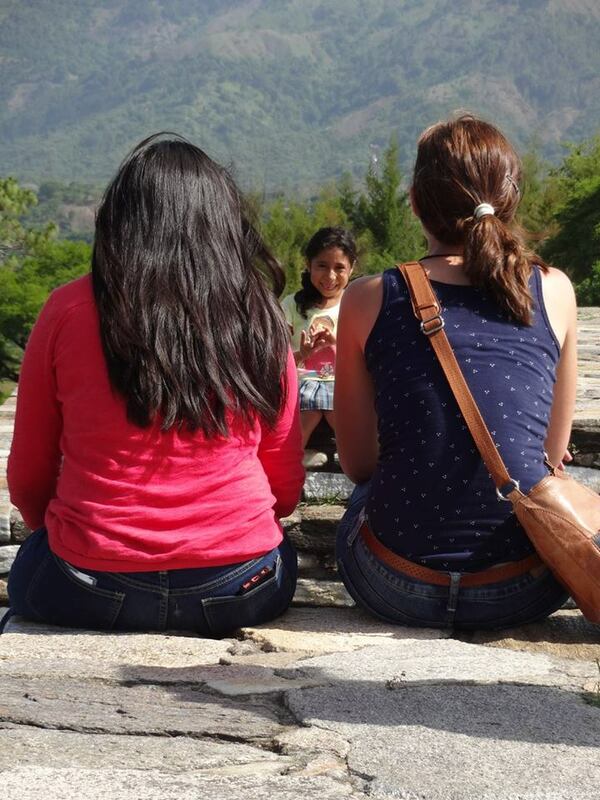 In Guatemala, I’ve learned what it means to be a language learner. My Spanish, although not perfect, has improved faster than a student athlete on steroids. But man, has it been a hard go of it. It’s not just a matter of learning the conjugations, idioms, and sentence structures. It’s not even as simple as using them in regular conversation. It comes down to this: when you’re nervous and flustered at the post office, on a tour, when your schedule changes, or when you’re so lost that you duck into a “Chicken Champion” chain restaurant just to ask directions, can you convey what you mean like a normal human being? Now while I can’t assume the ontological position of (all of the conditions of) an English language learner, I can grasp a heck of a lot better their challenges. I know how scary it is when you don’t have time to strategize sentences strung together in your head. I know what it’s like to struggle with a grammatical structure that absolutely doesn’t exist in your native language. It’s difficult when you concentrate all your energy on just understanding and you have none left over to create a thoughtful response—and I know how it feels when someone mistakes that for disinterest. Worse, I know the sense of helplessness when you realize instantly that you’ve just made a grammatical error and there’s no time for you to let the native speaker you’re with know that you know the correct form without stalling life—but you wish like crazy you could let them know you know. Living in Guatemala, even for a sneeze-worth of time, has taught me what real poverty and terror can look like for a lot of folks. Frankly, I don’t even like to talk about it too much when my audience can’t see my eyes and know for certain that I’m not bluffing or speaking glibly. 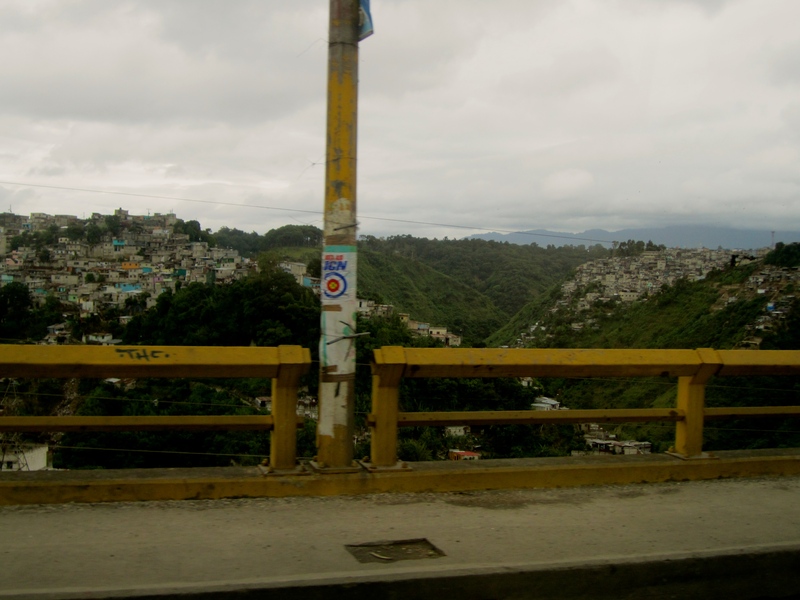 Because in addition to these conditions, I’ve seen in Guatemala what it means to enjoy and succeed in life. I’ve seen what it means to have dozens on dozens of different cultures crammed into one environment, and what it actually means to coexist. At my internship at Los Patojos, an alternative school full of love, creativity, excellence, and bossness, I’ve learned what it means to invest in your students as much as you wish to be invested in, to work long hours, plan lessons and then roll with it when plans change, and to collectively find a great idea and run with it while laughing your eyeballs off. My readings, lectures, and class discussions have taught me the intricacies behind culture and fighting against systemic oppression. In a phrase, from Guatemala I’ve learned how to respect what’s different without making a scene and then to keep working for a better world. All of this and more, I’m sure, will help me as I work as an English or History teacher in a Latino community. Maybe I won’t know a Dominican accent that well, the details of a small regional culture from Ecuador, or the exact chain of events in Mexican history. Still, this trip has made me aware enough to be on the look out so that I can learn. And as far as writing goes, as kids say these days, the ideas are literally everywhere (no figurative meaning for that “literally”). The mountains look like sleeping dinosaurs covered in moss, the fog floats around the highlands like a sea of clouds, the lakes seem like massive craters in the moon filled with water, and the people have more passion to work for a better Guatemala than any metaphor could explain. The historical, political, sociological, and emotional knowledge I’ve gained has given me what I needed as I write my creative thesis (and hopefully someday novel) about Guatemala—things like jokes, facts so unknown to outsiders that you could never Google them, and belief systems that I’d never learn at my home library in Pennsylvania. 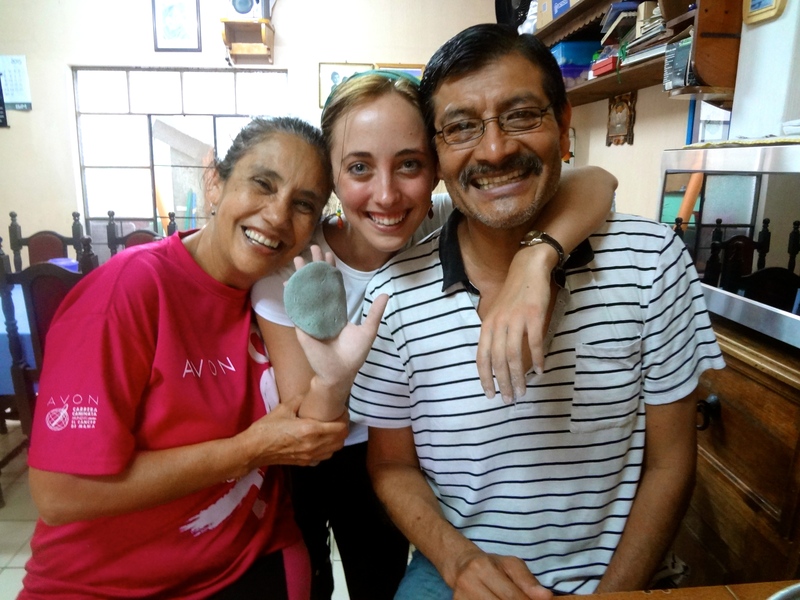 In Guatemala, my life has changed and certainly for the better. I think of my professors and teachers who gave me a boost to where I am now, and I know that whenever I see each of them, I’ll have an uncontainable grin and tell them, “I learned so much,” and I know they’ll understand. 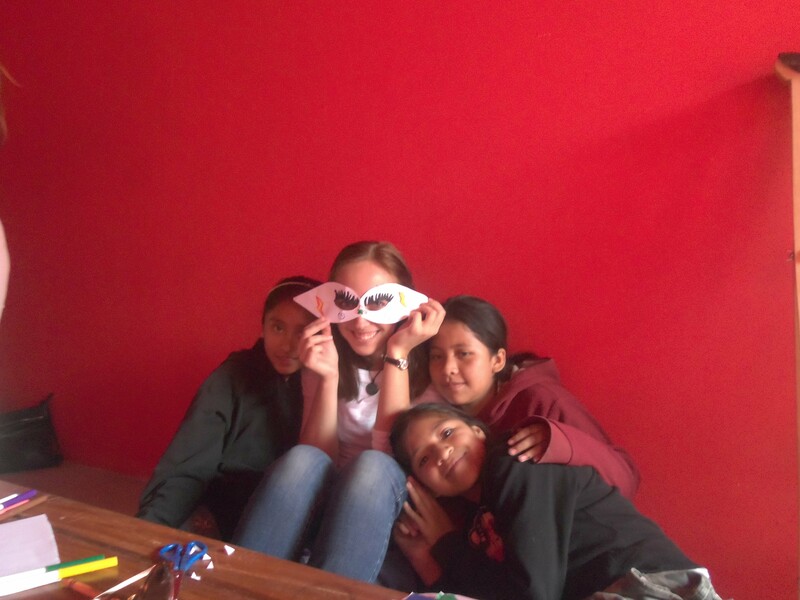 I know they’ll grin and nod back at me because more than anything, Guatemala’s taught me how to be a grown-up. More than once I’ve realized that I’m not on some guided tour through life anymore with snacks and hugs provided by adults with name tags—rather I’m on the precipice of having to be an autonomous human being that has to participate in the world without a provided prompt. A thousand points if you figure out a way to convey that all with sincerity and passion in a 12-point, Times New Roman, single-spaced blurb, because this is one for the books. I don’t think it’s possible that a program abroad for four months wouldn’t touch nearly every facet of your life goals. You go off, leaving your country and you can’t help but expect change in every corner of your life. Admittedly, some is for the good and some is for the bad. 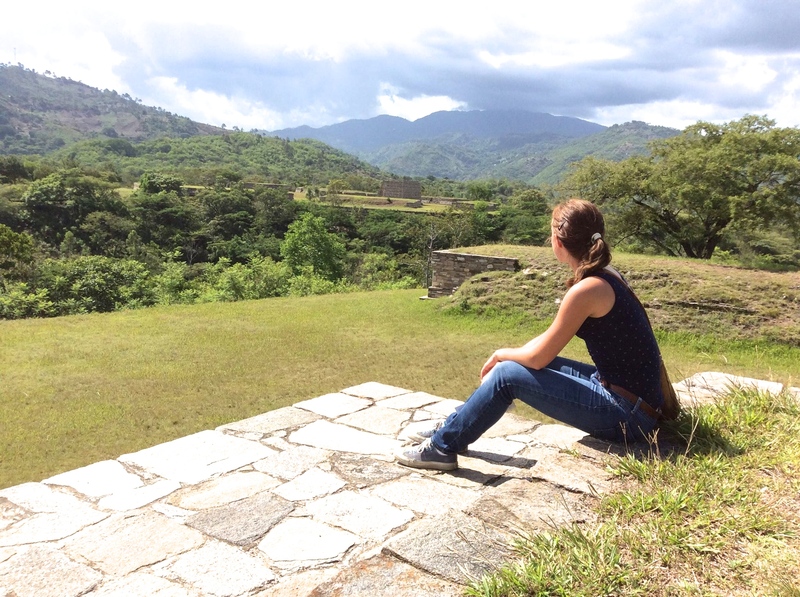 But the way that studying abroad affects your academic and career lives is unmistakable. Every moment you’re awake has the potential to be a learning experience and your classroom becomes the entire world around you. Your academic growth is no longer limited to during classes and while doing your homework. From the bus to the market to having lunch with a new local friend, you’re constantly learning. Constantly. I love how going overseas develops you as a person and as a professional. It’s the truest form of international experience, and it’s priceless when it comes to your personal skill sets and your future career. My professional goals have been irrevocably altered by living in Quito for the past 3 months; I believe I can succeed in so many more things now than I ever did before. I know for a fact that I would love to work on an international scale, and that goal has been solidified here. I’ve always wanted to be among the best with my Spanish knowledge and skills, and this semester has pushed that goal to the max. I know how much I’m capable of now. I think that is such a beautiful part of study abroad for all students who cross its path; they learn they are able to do infinitely more than they ever knew they could, and that expands their goals and sets them on the next level. All your world view lenses change when living overseas for so long – academically, professionally, and personally. History has thrived upon an ability to dream. I have never received the comprehensive road map, or tutorial for direction in my life. What I have had is inspiration that grows from wisdom and stories by sometimes seemingly insignificant interactions. My dreams are composed of ideas that I have built based upon these interactions. A benefit of taking on the world without following any given example is that I have been able to explore several influences rather than rely on a select few. Many aspirations have been absorbed from my experiences, and Costa Rica has allowed me to find pieces of my professional ambitions that I had not previously pondered. 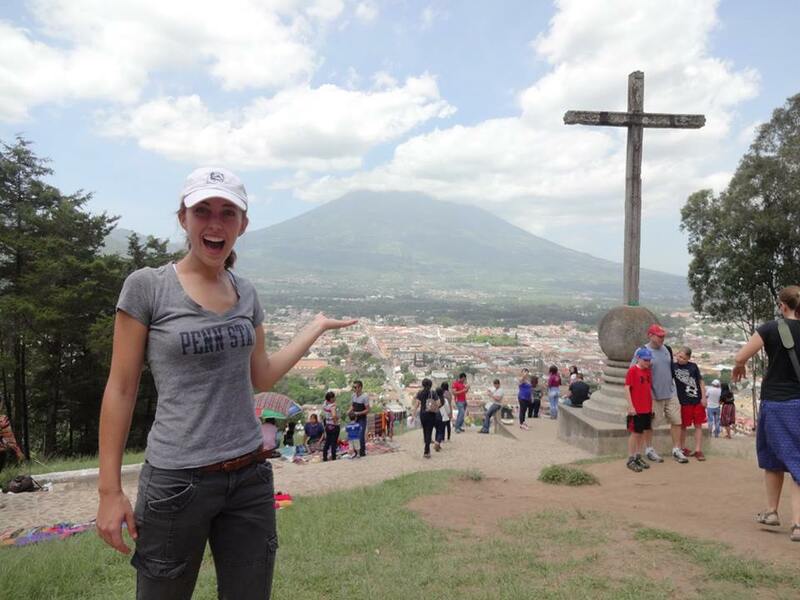 While abroad, I studied the culture and climate of Costa Rica, the Spanish language, and the literature of Latin America. I attend Elon University, which is a liberal arts university in North Carolina that requires one to take a variety of courses outside of one’s selected major. This practice brings depth and breadth to an already extraordinary institution of learning. By encouraging this type of study, students can look to fulfill several of the requirements abroad, which is essentially what I accomplished. 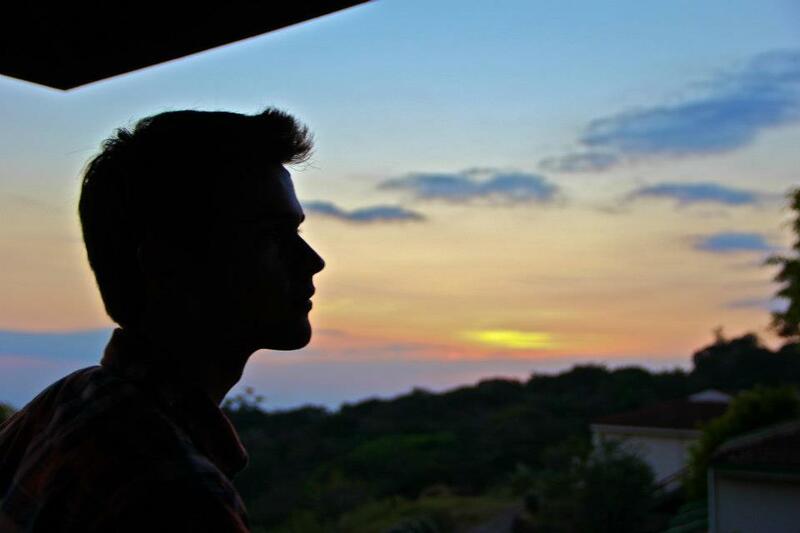 In addition to classes, however, I found inspiration in the adventures that were had within Costa Rica. The biggest shock in the short time frame that I have been home in is the scheduled nature of society. Expectations for an individual at nearly any age are abundant and unwritten. In order to acquire the common concept of success, one must plan his or her life years in advance, and always be looking for something more. Our schedules and lives are mechanized, and however important this far-sighted requirement is – a person can easily forget the benefit of adventure. To not be retained by the circulation and commonality of routine is where true success lies. 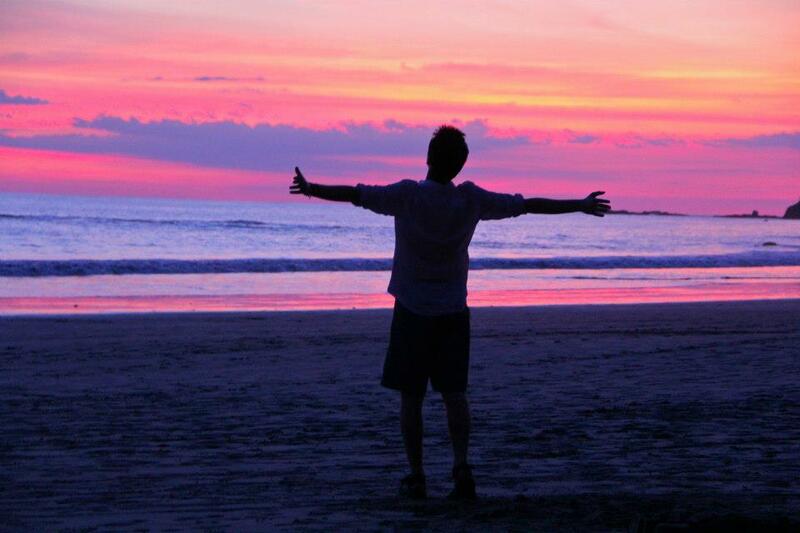 Costa Rica has shown me that there is so much more to life than the brand of getting rich quickly that many seem it idolize. When I think of the leaders that I would like to see in the future, they are individuals that have explored outside their comfort zone. The greatest professional ambition that I have gained was a greater idea of the leader that I will be. To settle in one area, and to base ideas from within the confines of one’s own four walls is constraining not only to the individual, but to those who admire that person as well. Not traveling, but rather experiencing diversity is absolutely essential in order to gain creative and intellectual perspectives that would otherwise be absent. The leaders of this upcoming generation will be culturally intelligent and able to talk across difference in order to innovatively engender success. A global motivation is now hard-wired into my system, and it forever will be one of the several ideas that guide the direction of my dreams.